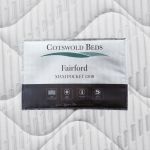 The Fairford Maxi Pocket 1200 single mattress has pocket springs (1200 at king-size) that compress individually to support the contours of the body. 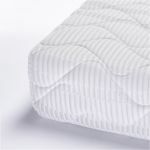 The springs are encapsulated in foam and have an extra 30mm comfort foam layer on top for extra luxury and support. Designed to be a no-turn mattress for easy maintenance, the foam encapsulation also means that the luscious 200mm deep Fairford Maxi Pocket 1200 is inherently anti-allergenic and resistant to mites. Oak Furniture Land offers free and express delivery choices to your preferred room. 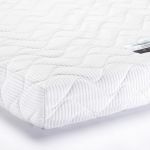 For more advice on which of our Maxi Pocket mattresses best suits your sleep needs, check out our mattress guide here.